The CJ3A Page Forum - What is this?? 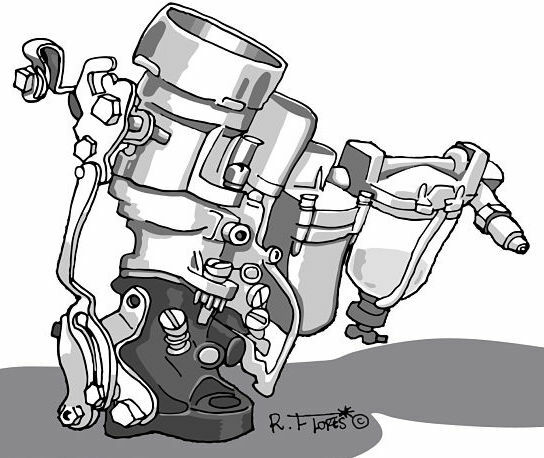 The CJ3A Page Forum › TECH FAQ SECTIONS › Engine compartment › What is this?? 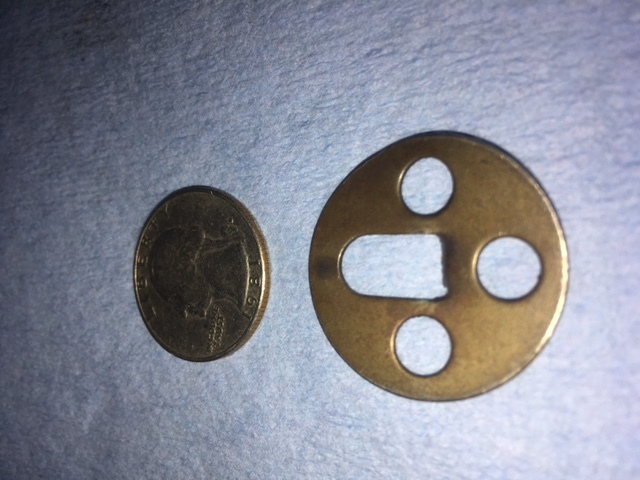 Found this in the oil pan of a ‘52 CJ3A L134 engine while cleaning it today. Don’t want to put the pan back on until I can id it. Looks like there may have been a lip on one end of the oblong hole. I sure hope you are right. I will look tomorrow, also I have a m38a1 with a ‘65 f head engine, I’ll look there also. Thanks for the info. Here you go....looks pretty close to me! You da man 1955CJ5. I was thinking it looked familiar but I didn’t have a clue where it came from. I don’t think it is on my dipstick, I’ll braze it back on tomorrow. Kind of hard to understand why Willys thought that was a necessary part for the dipstick. Maybe it keeps the dipstick off the crankshaft throws. The oil filler tube is part of the PCV system. It regulates air flow. The baffle is missing on both my dipsticks but the tab is evident. It wouldn't be hard top make up.. Measurements?? Already have the baffle brazed back on. With it off it would have been a good time to make a pattern for other folks. I will get a measurement and post it.